Some residents at a Merseyside care home were fed lunch while they were still asleep, inspectors found. 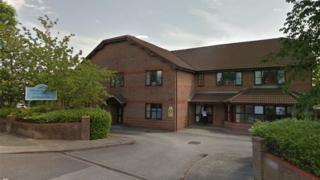 Elizabeth Court Care Centre in St Helens has been placed in special measures after being rated inadequate by the Care Quality Commission (CQC). Inspectors found multiple breaches of regulations concerning the safe and appropriate care of elderly residents during a visit in December. Key Healthcare which runs the home has been contacted for a response. The CQC report also found staffing levels were "insufficient" and some staff used "inappropriate and disrespectful" language. During the visit, inspectors viewed the care records of five residents with dementia or complex needs. They found that, in some cases, people's consent had not been obtained with regard "do not resuscitate" (DNR) decisions , the use of bed rails and the call bell system. Two residents were left alone for 30 minutes in the lounge, with no access to a call bell and no staff members checking on them. This was not safe, the report said. Inspectors described how a staff member supported a person to eat "whilst they were still in a sleep-induced state". "They had to keep waking the person up between mouthfuls of food and at one point the person fell asleep with a mouthful of food still in their mouth." This placed the person at risk of choking and aspiration pneumonia, they warned. Two others were supported to eat half asleep with a pillow "shoved behind their back". "This was not very dignified or respectful," the report said. People who lived in the residential unit said staff were "kind and patient" and commented: "They look after me well"; "They're lovely, helpful and kind". However, inspectors found staff spoke in front of residents "as if the person was not there". The CQC inspectors said the atmosphere in the dining room of the residential unit was "chaotic and disorganised." Autonomy, independence and dignity of the people who lived at the home was not always promoted, the report said. The report said guidance given to staff on how to provide safe and appropriate care was "generic and meaningless". Safeguarding incidents had not been appropriately reported meaning the provider "did not have a robust system in place to protect people from the risk of abuse", it added. Elizabeth Court will be kept under review and where necessary inspected again within six months, the CQC said.